This new project for the building company is present to you. 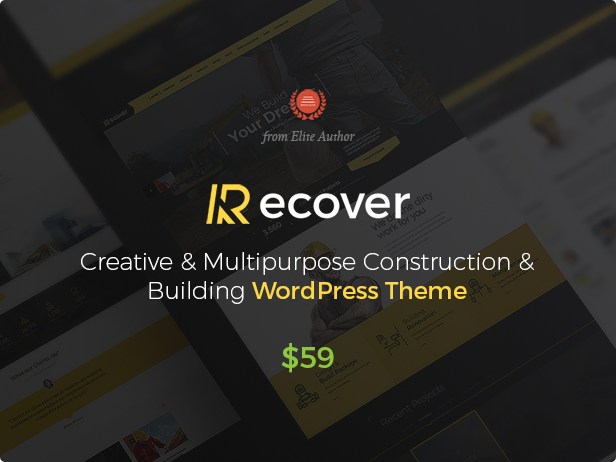 Recover is a unique idea for a website company that provides services in the construction industry. If your company is engaged in the construction of homes and office buildings, making major repairs apartments, modern interior and provides the architect’s services – the Recover is for you. The development Recover – Construction & Building PSD Template has been spent more than 300 hours of working time. But that is not all! The next step is to create a corporate / business template version of the construction company. After that, it will be elaborated on pages of other directions about which I wrote above. I’ve already all materials transferred to the developer for the implementation / conversion to WordPress version. It will be of high quality and great WordPress Theme, which will appear in 2016, do not miss this and send the Email using this form displayed on this page. After the release, I will let you know about the availability of WP Theme on Envato Market.